In preparing your home for sale, it’s important to know which repairs and upgrades are truly worth the cost. Fixing tile and grout to sell your home is a relatively inexpensive undertaking that can yield dazzling results, helping you sell your home faster and for the best possible price. Buyers tend to appreciate high quality kitchens and bathrooms because improvement projects in these areas can cause considerable disruption and inconvenience. Don’t overlook the tiled surfaces commonly found in these rooms – your floors, backsplashes, and shower and bathtub tiling should be restored to “like new” condition before you show your home. 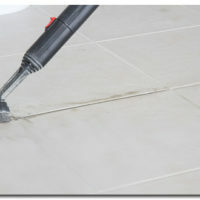 Chipped tiles or dingy grout lines can detract from the appearance of an otherwise beautiful and well-maintained space. Clean and disinfect your tile and grout surfaces: Dirty, stained, or moldy tile and grout make a room look run-down and neglected. Be sure to refresh your tiled surfaces by giving the area a thorough cleaning. You can usually remove surface dirt and build-up yourself using a mild detergent or some baking soda and water, but be sure to consult a grout and tile professional for hard-to-remove stains and mold. 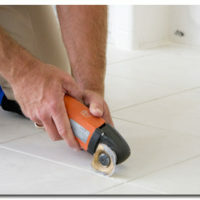 Repair loose and hollow tiles: Your entire tiled surface should be structurally sound. Make sure that all tiles are secure and solid underneath. Checking for hollowness is easy but time-consuming and a little tedious. Just tap on the center and all four corners of each tile and listen for a hollow sound. Detection and repair early on are well worth the effort because hollowness weakens tiles and makes them susceptible to chips and breaks, which could result in more extensive future repairs for the home buyer. Replace chipped or cracked tiles: A few broken tiles do not necessarily mean a costly overhaul of the entire tile surface to get your room looking great again. It’s possible to replace tiles individually – and economically – to achieve an overall “like new” appearance. Consider upgrading with the addition of a tiled surface: Tiled surfaces are attractive, resilient, durable and relatively easy to clean. It’s no wonder home buyers appreciate them in kitchens, bathrooms and other high-traffic areas. Catch a buyer’s eye with a well-chosen tile pattern – and be sure to put as much thought into picking the correct grout. Grout comes in many different varieties, and it’s important to select the right type and color for your tile to achieve best results. When Fixing tile and grout to sell your home, contact a tile and grout professional at The Grout Medic for a free consultation. We can help you select and install new tiles, or restore health and beauty to your old tiles in any room of your house – you’ll be proud to show the results to prospective buyers!